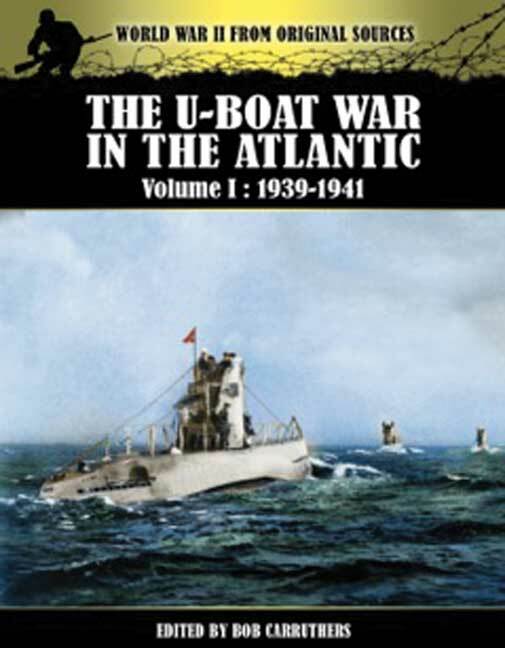 You'll be £12.99 closer to your next £10.00 credit when you purchase The U-Boat War in the Atlantic Vol I - 1939-1941. What's this? This is the fascinating account, as told from the German perspective, of the Battle of the Atlantic, the longest-running, continuous military campaign in World War II, spanning from 1939 through to Germany’s defeat in 1945. At its core was the Allied naval blockade of Germany, which was announced the day after the declaration of war, although it quickly grew to include Germany's counter-blockade. The name "Battle of the Atlantic", was coined by Winston Churchill in 1941 and he famously stated that the U-boats were the only thing that really frightened him. The U-boat war encompassed a campaign that began on the first day of the European war and lasted for six years, involved thousands of ships and stretched over thousands of square miles of ocean, in more than 100 convoy battles and perhaps 1,000 single-ship encounters. In the 68 months of World War II, 2,775 Allied merchant ships were sunk for the loss of 781 U-boats. This is the story of that massive encounter from the German perspective. Published in three volumes, this work was compiled under the supervision of the U.S Navy Department and the British Admiralty by Fregattenkapitan Gunther Hessler. The author, though without previous experience as a writer, had first hand experience of U-boat warfare having commanded a U-boat in 1940 and 1941. For the remainder of the war he was Staff Officer to the Flag Officer commanding U-boats. He had access to German war diaries and other relevant documents concerning U-boat command, and this work based on these many documents, tells the story entirely from the viewpoint of that command. For this reason this work is essential reading for anyone interested in the history of World War II from primary sources and will be of enduring interest to those engaged in attempting to unravel the true nature of submarine warfare in World War II.